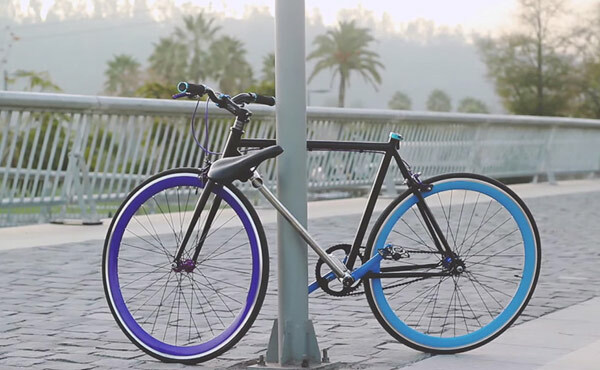 Three engineering students in Chile, Juan José Monsalve, Andrés Roi, and Cristóbal Cabello, have designed a bicycle frame that effectively locks itself around a pole. This eliminates the need to have a lock and provides more of a deterrent as a thief would have to break the frame to steal the bicycle. This doesn’t however solve the problem of thieves stealing things like the wheels but the working prototype is a pretty innovative idea.